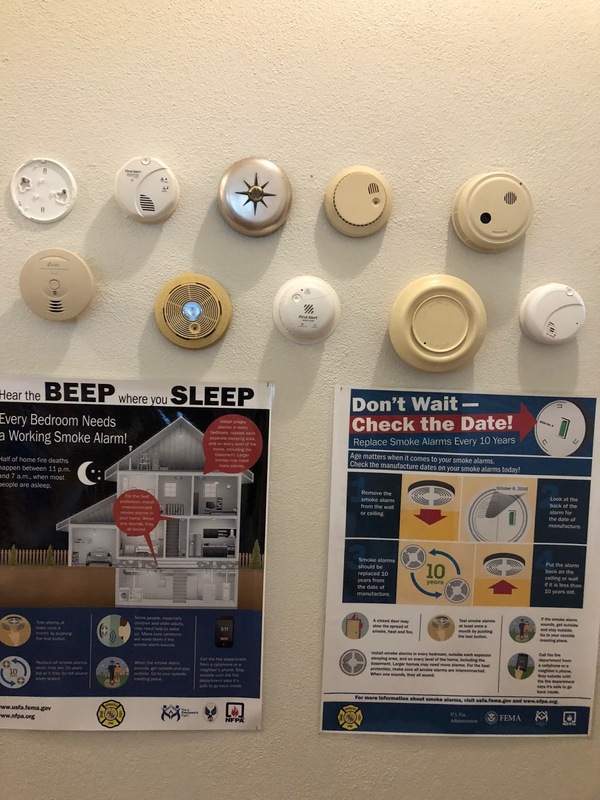 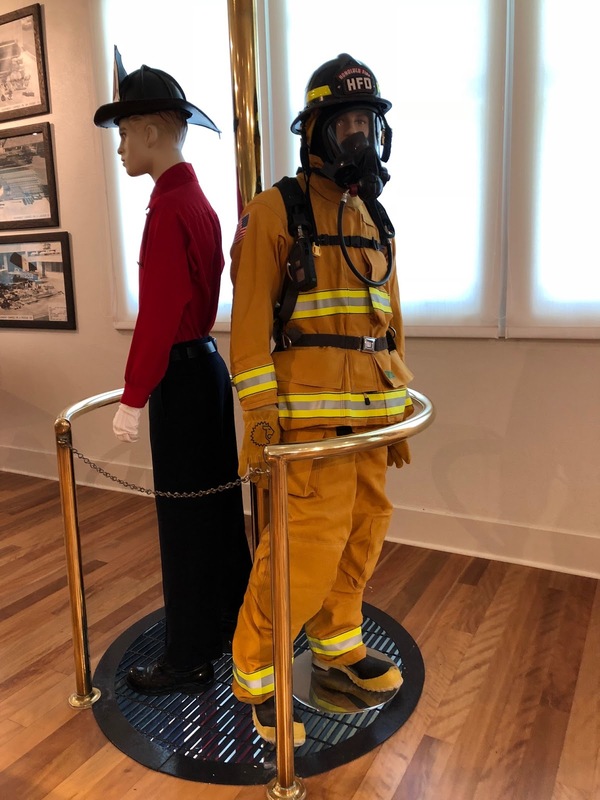 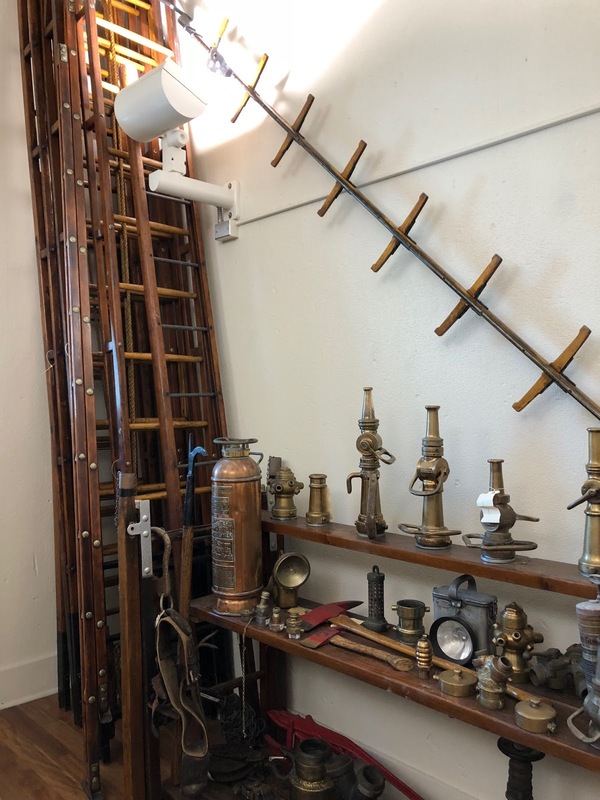 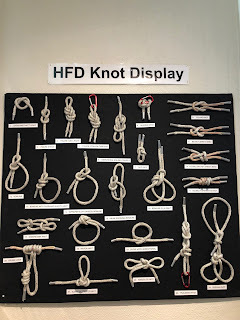 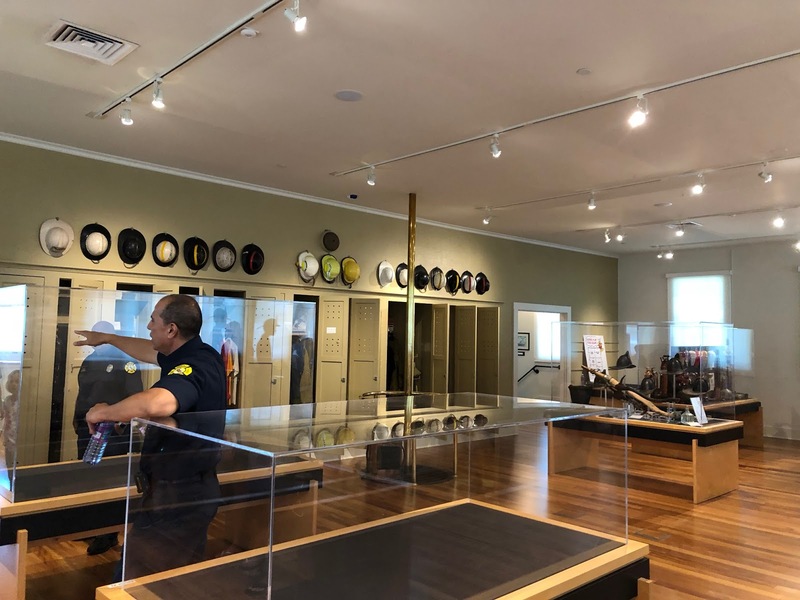 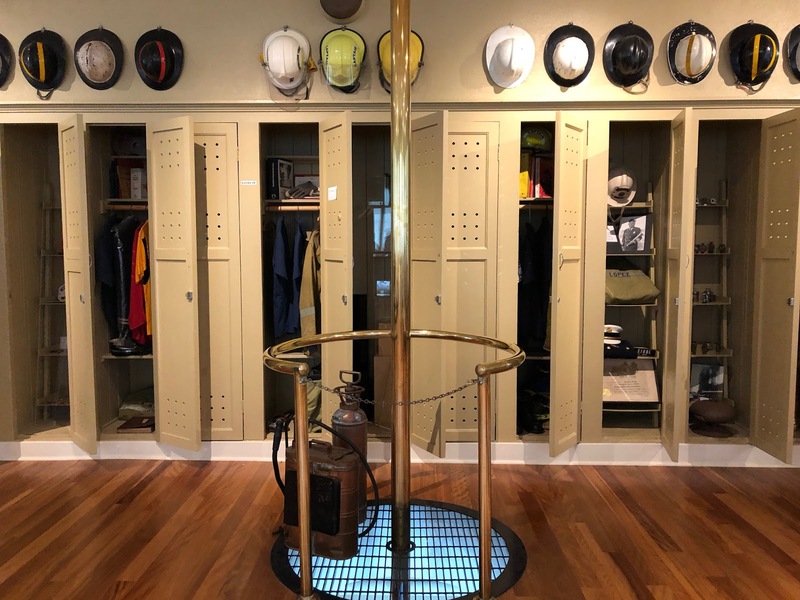 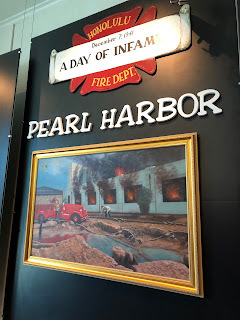 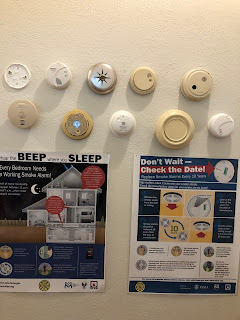 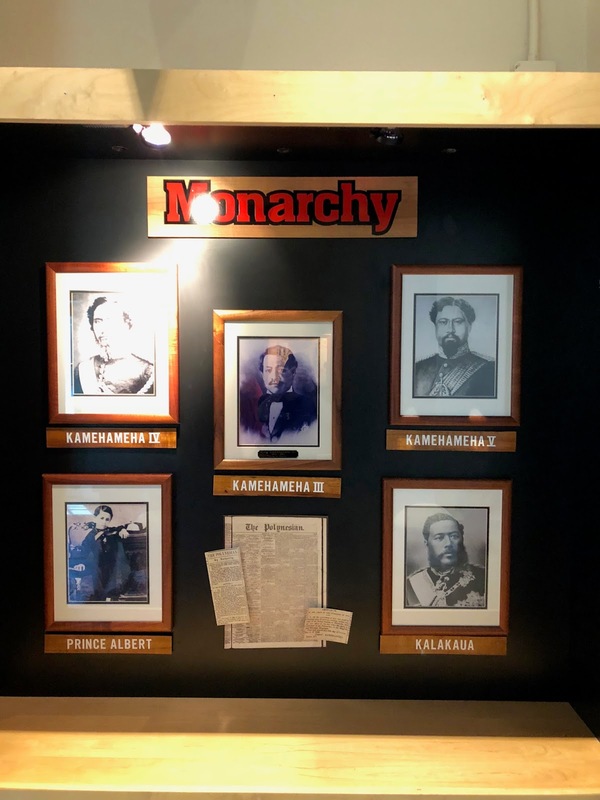 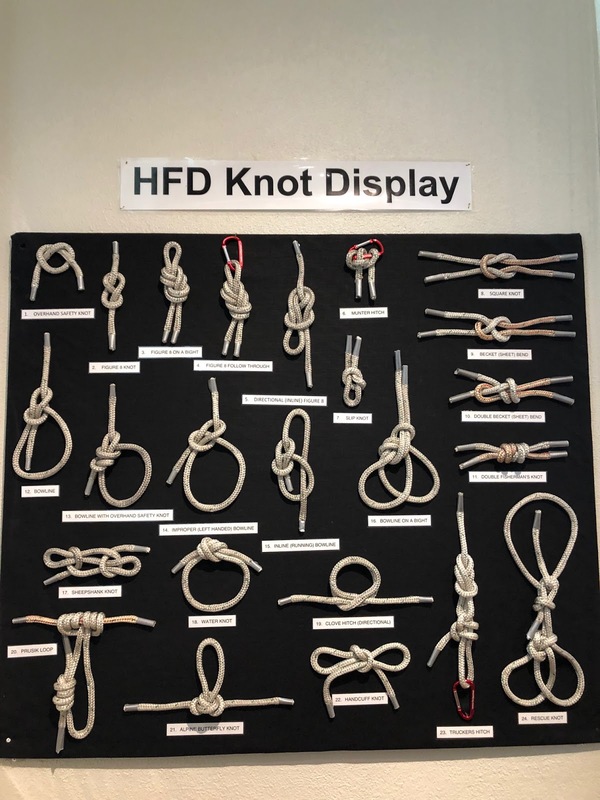 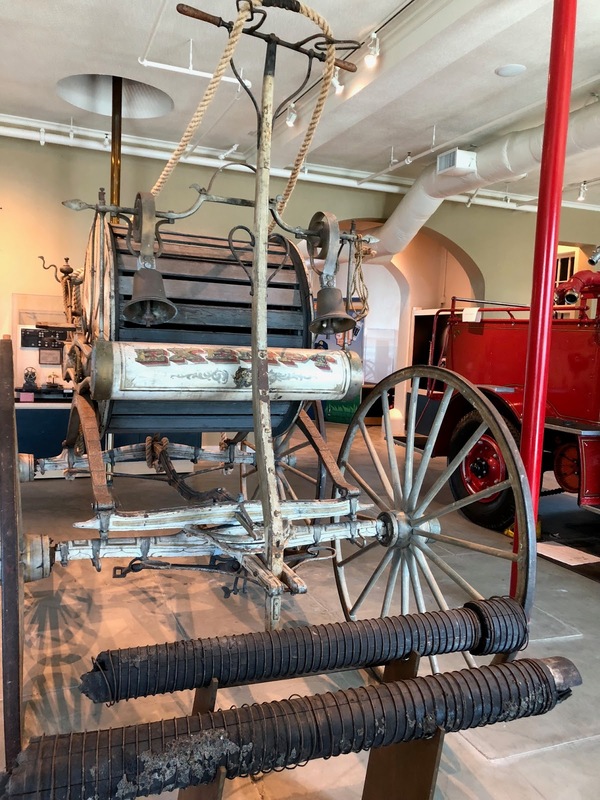 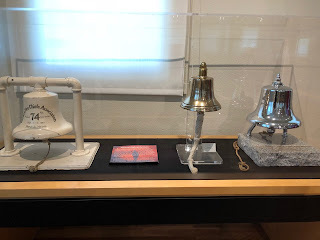 Did you know the Honolulu Fire Department gives guided tours of its Fire Museum and Education Center every Saturday of each month? And best of all, the tours are free! 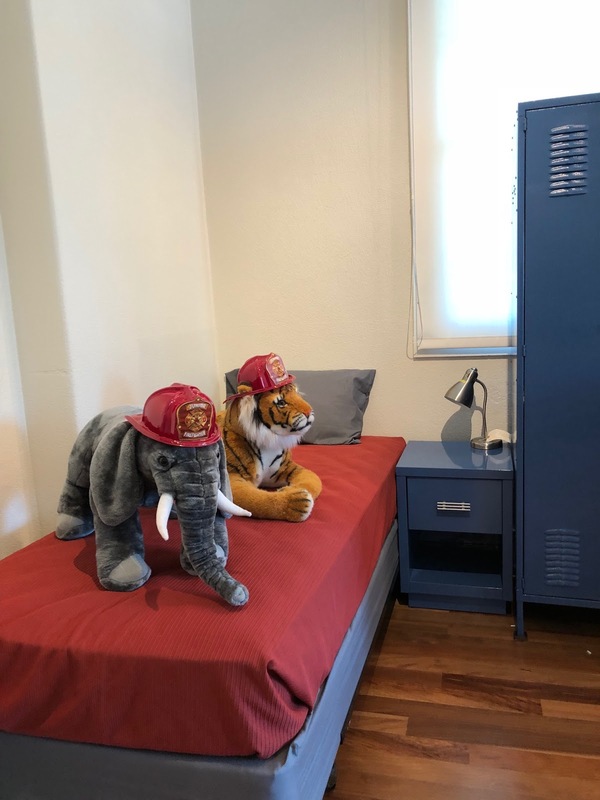 I thought it would be fun for my boys to go on the tour since they are big fans of fire trucks, so I made reservations online for the four of us. The tour started outside of the museum, where we are told about the land upon which we are standing on. 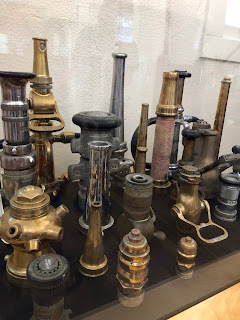 It was once a "government hospital" for those who contracted small pox. 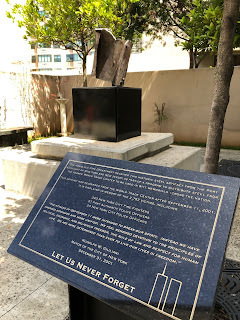 This memorial honors the victims of the smallpox epidemic of 1853. We also got to see an artifact that was recovered from the World Trade Center after September 11, 2001. Let us never forget. 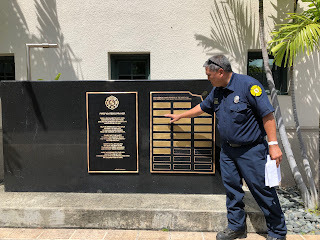 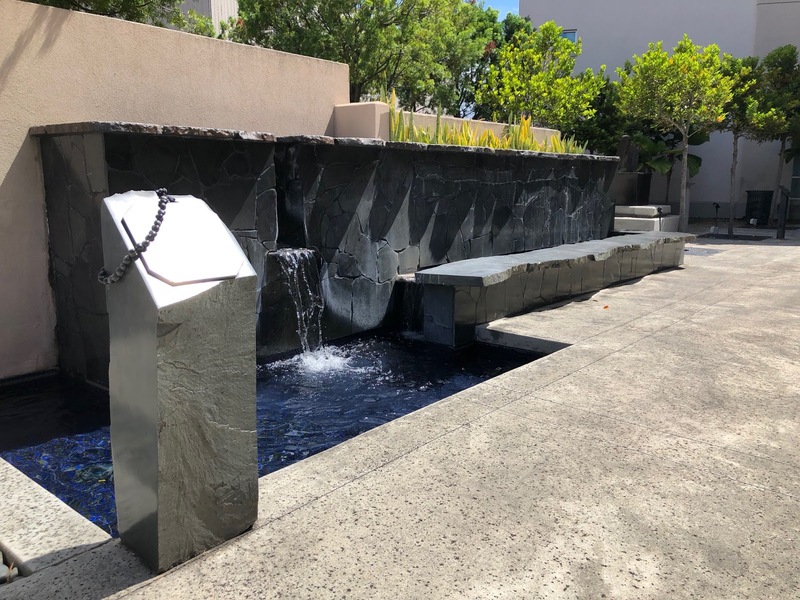 Another memorial outside of the museum is one that is dedicated to the members of the fire department who lost their lives on duty. 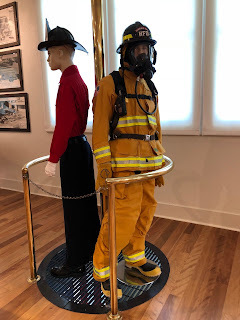 We then proceeded to the air conditioned museum and learned about the history of the Honolulu Fire Department. 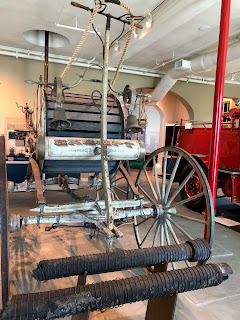 It's the only fire department in the US that was established by the order of the King of a Monarchy. 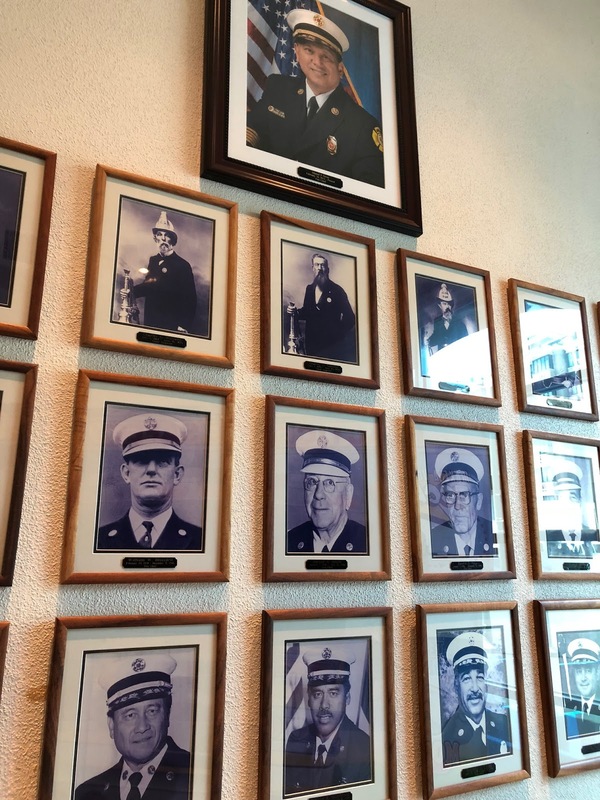 A picture of each Chief of the HFD is prominently displayed on the wall. 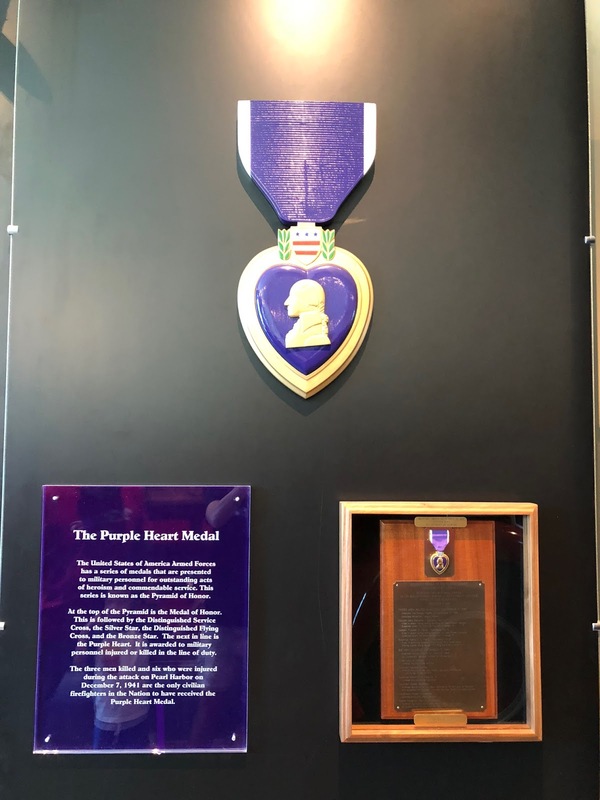 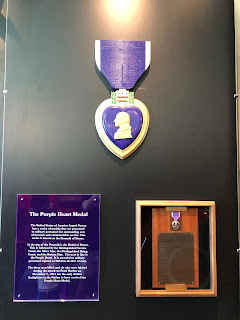 The Purple Heart Medal is awarded to military personnel injured or killed in the line of duty. 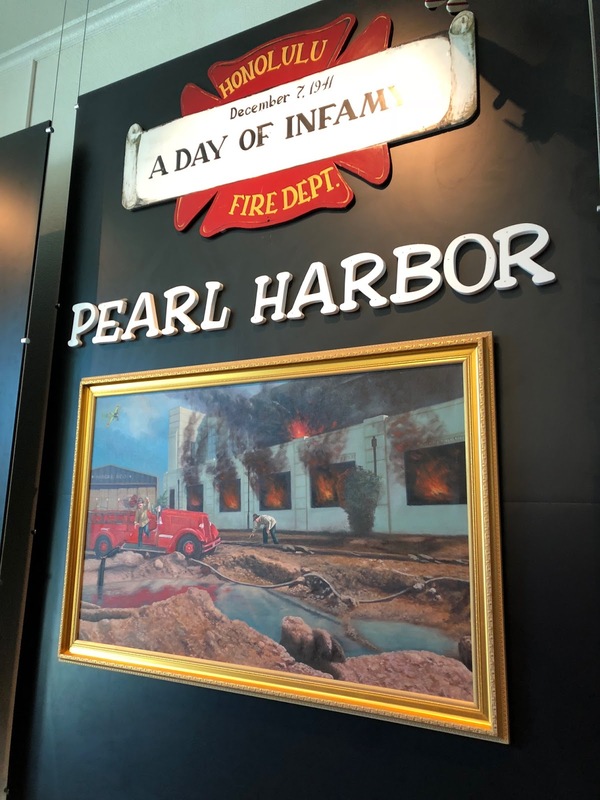 Three men killed and six who were injured during the attack on Pearl Harbor on December 7, 1941 are the only civilian firefighters in the Nation to have received the Purple Heart Medal. This is an actual truck that was deployed to the front lines in 1941. The second floor of the museum was once the dormitory of the old Kakaako firehouse. 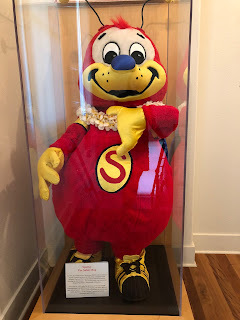 Here's Sparky, the HFD mascot who retired in 2015 after 30 years of teaching fire safety to Hawaii's keiki. 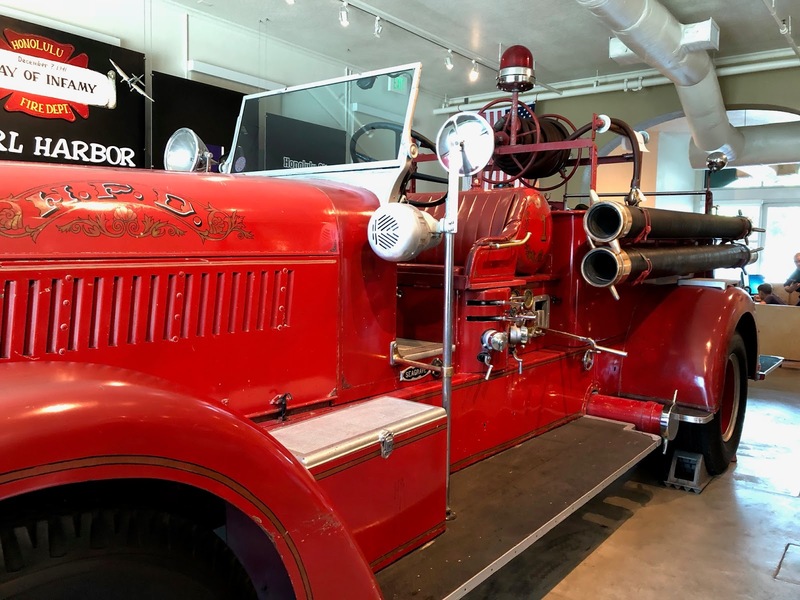 Guided tours are available on the third Saturday each month. 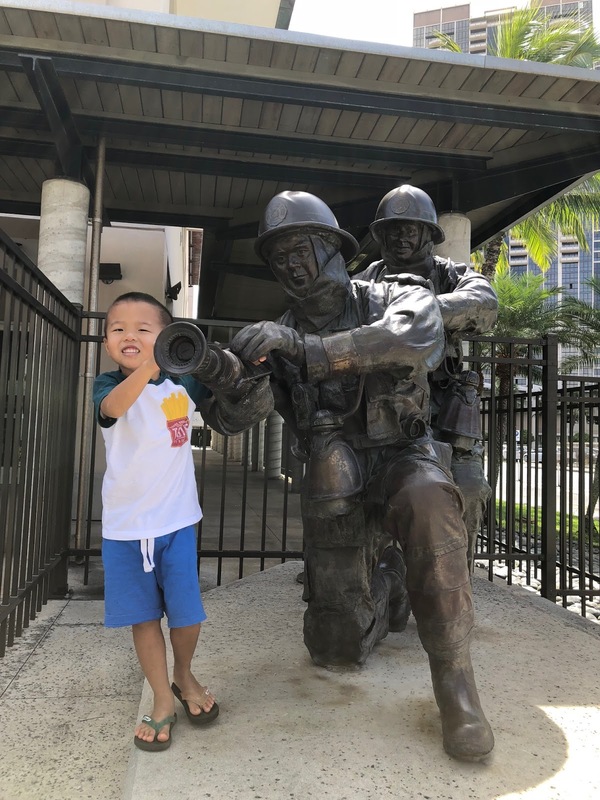 Call (808) 723-7168 or use their electronic reservation system to request an appointment.